Entech Boiler Controls | Monitor. Conserve. Save. Our dedicated team is warmed up and ready to assist you. 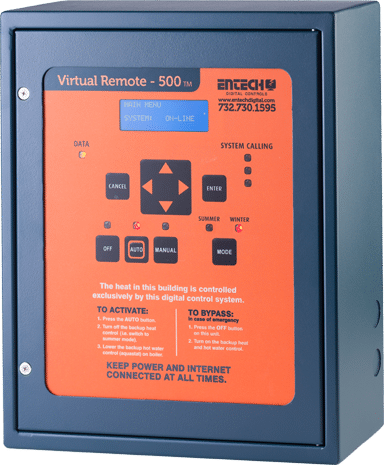 Our tried-and-proven VR-500™ goes beyond monitoring and control. software. 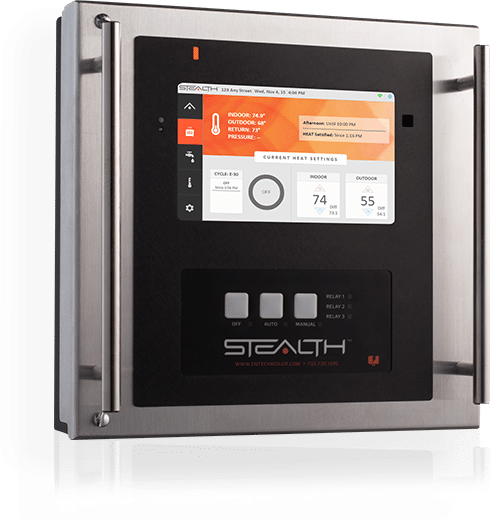 Check out the first-ever smart boiler system. And the second ever. Thanks to our Web-based control platform and available EMS monitoring service, you can exercise control, modify settings, troubleshoot malfunctions, and view graphs and data charts of stats and runtimes – from any device, anytime. speak with property owners and managers. for you, good for your residents, and good for Mother Earth. Estimated savings based on current clients actual savings with ems subscription.